I have had my DreamPi for about a month now, and initially had issues setting up wifi, so I used a USB LAN adapter I had laying around to connect with my basic Pi Zero model which lacks both Ethernet or built in Wifi just so I could eventually play. Today I decided to give it another try so I can cut down on so many wires and try and internalize the setup inside my Dreamcast. Trying to go for the ultimate modded system since already rocking GDEMU, overclock and bios mod, as well as replaceable CMOS battery mod. My problem is that in this tutorial that PC posted to YouTube here, it seems to be for a much older version. I try the shortcut keys he mentions and it doesn't quite do what it shows on his screen at 3:08 mark here. My suspension is that since DreamPi 1.7 was built upon a much newer version of Rapsbian and is drastically smaller at 1gb being trimmed off vs previous versions that there was maybe a huge change to the way things work since the video was made in 2016. i mean that was over 2 years ago. So if ANYBODY could help me out here it would be much appreciated my dudes. Last edited by Anthony817 on Sun Apr 14, 2019 9:39 pm, edited 1 time in total. Don't use shift keys. See what that does for you. It attempts to save then says no such directory exists for the file I was saving. That video is really only if you need to configure Wi-Fi manually. 1.7 has my Wi-Fi configuration utility built into it. Just type wificonfig after logging in and follow the prompts. Wow thanks got it working now! Now to just see how I can shrink down the setup! Really would love to make this internal but I really don't want to screw something up. Anthony817 wrote: Really would love to make this internal but I really don't want to screw something up. TBH, I wouldn't recommend it. I'd imagine the combination of using Wi-Fi and possible interference with the electronics in the DC itself would make for a less than ideal setup. This would likely lead to more lag in gameplay and possible other connection issues. Yeah maybe so. 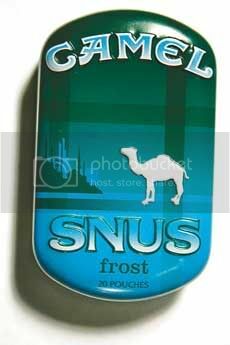 Right now my Pi Zero is inside one of those Camel Snus tins. Should help as it is with shielding at least. I busted out my dremel to make slots to plug in the ports so it is pretty flush. Just need to get some pictures of it all hooked up. But not really optimal to sit it inside of the tin in the DC, not a lot of room in there as it is even with GDEMU.